A beautiful property, in superb order, with fantastic staff. Everything is perfect. The view, the size of rooms, the kitchen, the nice staff, and everything is just perfect! I spent a night here with river view and got to say it was simply too short! From the moment you walk through the door, a friendly guy welcomes you, helps you with your bag and gives a quick tour of your apartment. The view was amazing facing towards the shard and the Thames. Even though I only spent a night here, I felt like I was in my own apartment just a few minutes after settling in. The location and rooms were excellent. They accepted our luggage before check-in and took them to the room. They also kept our bags after check-out so we could still visit some attractions. Excellent facilities, and the location is perfect. It has everything you need for a stay. We've stayed there quite a few times. Love the location beside the river/Tower of London/Thames path and close to everything but without the crowds of the West End. Apartment is comfortable and spacious and well appointed. The Staff were very helpful. Location was perfect, restaurants and coffee shops everywhere. The baby cot mattress could have been softer, but apart from that, fantastic! 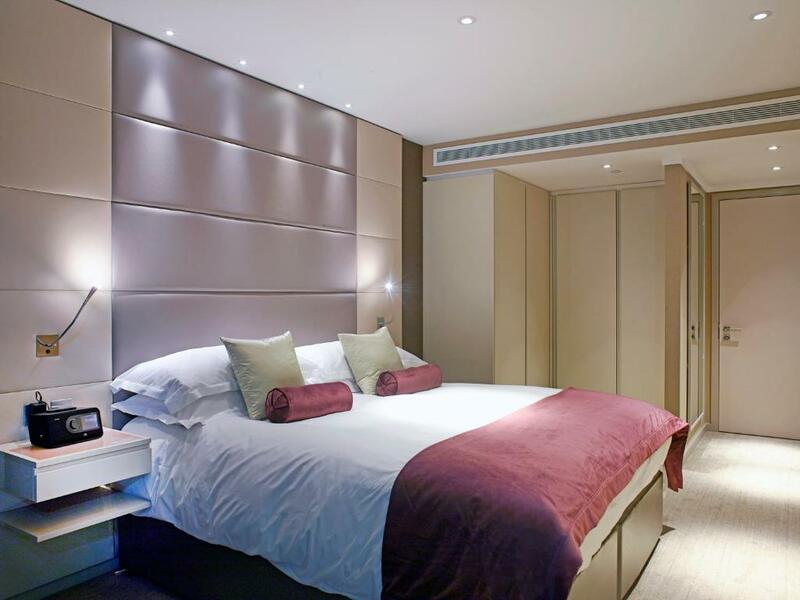 Lock in a great price for Cheval Three Quays at The Tower of London - rated 9.3 by recent guests. One of our top picks in London – and a guest favourite. 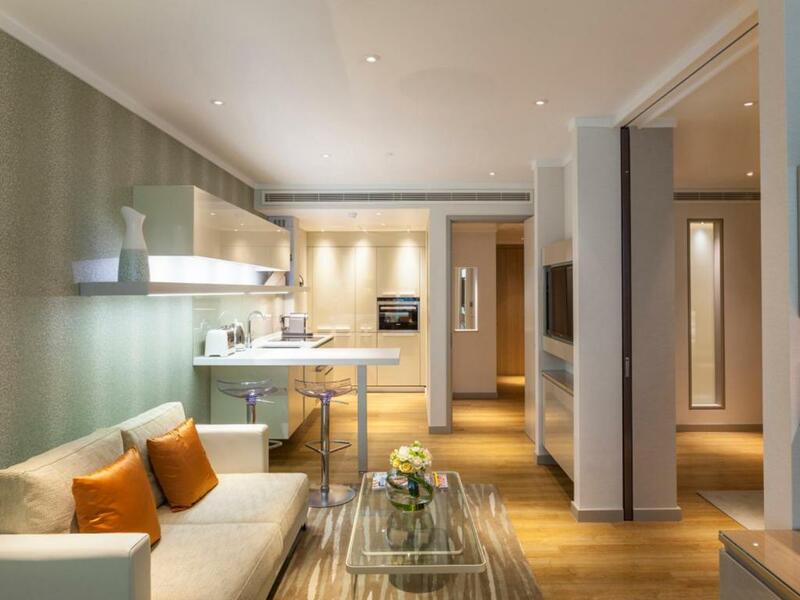 Located next to the Tower of London, and overlooking the River Thames, Cheval Three Quays offers modern apartments with free Wi-Fi, and an on-site fitness centre. The City of London financial centre is a mere 10-minute stroll away. Each of the spacious apartments at Cheval Three Quays is designed with clever lightning, shiny surfaces, clean lines and geometric shapes. All feature an open-plan kitchen & living room, a flat-screen TV and an iPod dock. A coffee machine, dishwasher and microwave are also provided. Some of the apartments boast unrivaled views of Tower Bridge and City Hall. 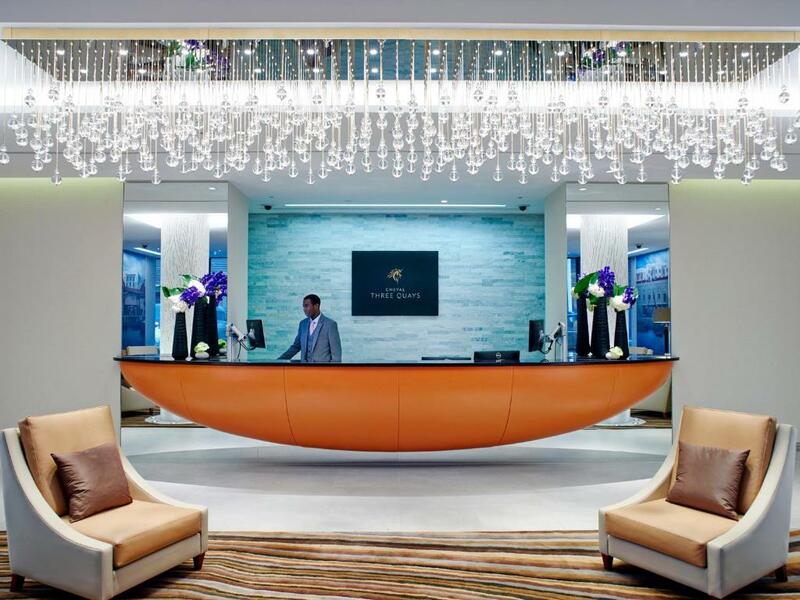 A dedicated team of concierge, housekeeping and maintenance ensure every need is catered for. Facilities include a state-of-the art fitness room. Tower Hill Underground Station is just a 5-minute walk away and Central London can be reached in just under 20 minutes via Tube. The vibrant area of Brick Lane is only a mile from the apartments and features a market and a variety of live music venues. Thames Clipper at Tower Pier provide transport along the river from Greenwich and the O2 Arena to Putney and Chelsea Harbour. City of London is a great choice for travellers interested in history, city trips and city walks. Cheval Three Quays at The Tower of London has been welcoming Booking.com guests since 27 Nov 2013. 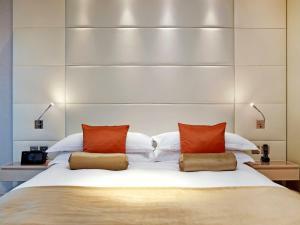 When would you like to stay at Cheval Three Quays at The Tower of London? This apartment has a seating area, iPod dock and tumble dryer. This apartment features a iPod dock, dishwasher and electric kettle. The apartment has a master bedroom with a king-size bed and en-suite bathroom with a walk-in rain shower. The second bedroom can be set up with either a king-size bed or twin beds. The hallway bathroom has a bath/shower combination. The apartment has a spacious entrance area with a utility room separate from the fully fitted and equipped kitchen. Floor-to-ceiling windows provide lots of light and a view of the River Thames. This apartment features a bathrobe, kitchenware and soundproofing. This apartment has a bathrobe, dishwasher and air conditioning. This apartment features a kitchenware, iPod dock and dining area. This apartment has a electric kettle, tumble dryer and sofa. This two-bedroom apartment offers large windows with views of the Thames, HMS Belfast, City Hall and the Shard. There is an open plan living space, with a kitchen, dining area and lounge. The master bedroom offers an en suite bathroom with a rainfall shower. There is a twin room, and a family bathroom. Please note that renovations are taking place nearby. Guests may experience minor disturbances Monday - Saturday. This open-plan apartment offers a queen-size bed, large windows and an en-suite walk-in shower. Guests will also benefit from an fully equipped kitchen. This apartment has a satellite TV, seating area and microwave. This property offers guests a river view. 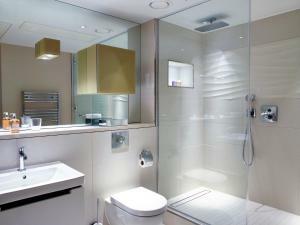 The apartment has a master bedroom with king-size bed and en-suite bathroom with walk-in rain shower. The other bedrooms offer king-size beds that can swapped to 2 single beds. Both rooms have en-suite bathrooms with a bath and overhead shower. All apartments have a spacious entrance area with utility room separate from the fully fitted kitchen. A generous living area provides guests with a spacious and light living space enjoying views of the River Thames and the South Bank which can be enjoyed from the privacy of your private balcony. Some 3 bedroom apartments are made up of a interconnecting 1 & 2 bedroom apartment. 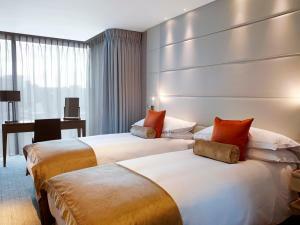 The Four Bedroom Apartments at Cheval Three Quays offer views of the Tower Bridge, the Shard and HMS Belfast. Created from two luxurious apartments, each spacious unit provides guests with two master bedrooms, both en-suite and two twin bedrooms with two family bathrooms situated in the adjacent hallways. This is complimented with two open-plan reception rooms and kitchens. 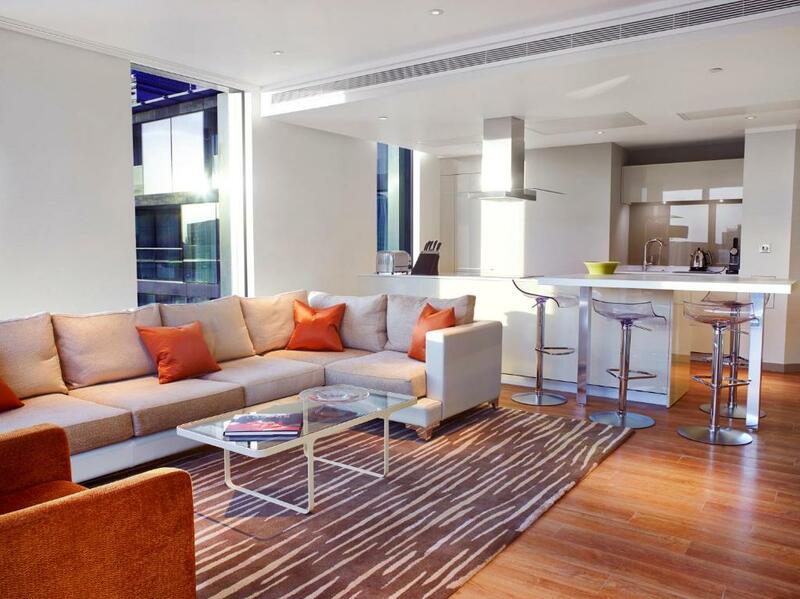 The apartment benefits from dramatic floor to ceiling windows providing guests not only with unique views in the heart of London but with plenty of natural light. A private balcony allows guests to relax throughout their stay. The Deluxe Two bedroom Suites, the most opulent of the two bedroom range, boast views of the River Thames, Tower Bridge as well as the Shard and HMS Belfast, offering a fabulous sense of space. The Apartments provide guests with open plan living complete with top of the range, fully fitted Dada kitchens. The master bedroom offers a luxurious king size bed leading to the en-suite bathroom with a walk-in rain shower, while the twin bedroom can be made into a double upon request. The family bathroom sits off the main hallway, offering a large bath tub with overhead shower. The suites provide guests with a generous entrance as well as over-sized windows providing a light living environment. A private balcony allows guests to relax throughout their stay. Nestled between the contemporary culture and historic guise of the River Thames, Cheval Three Quays is a multi-award winning destination in the heart of the City of London, with breathtaking views over the Tower of London, the Thames and Tower Bridge, the Shard and HMS Belfast. 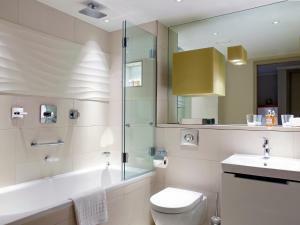 The location of this residence is particularly suited to cosmopolitan London life. Reach the financial city, vibrant East and cultural West End with ease or take the scenic route along the River Thames. 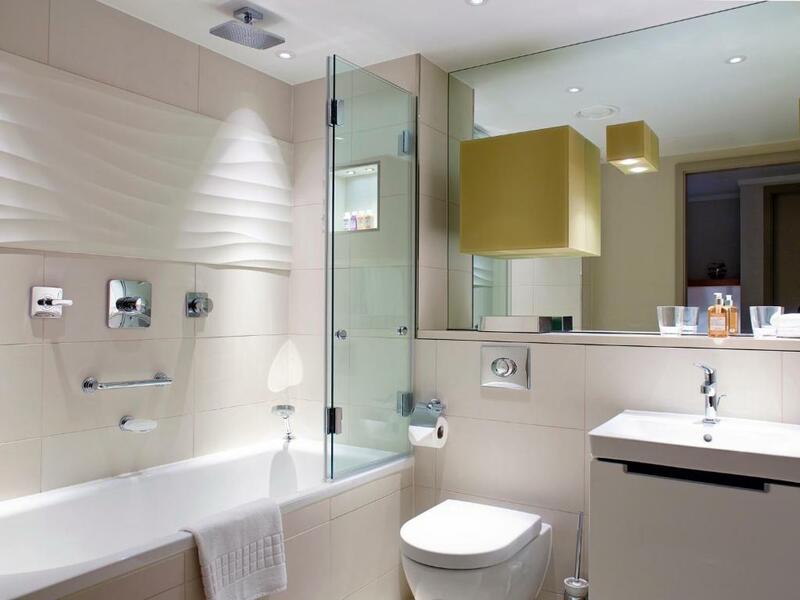 Enjoy vibrancy and privacy whilst experiencing a little bit of heaven in London. Arranged across nine expansive floors, these five star serviced apartments offer flexible city living through the open plan, one, two and three bedroom apartments and penthouses in a secure and safe environment in which to live, entertain and enjoy without compromise. Guests can be sure of exceptional home comforts, exceptional service ensuring an exceptional experience for one night or more. Experience London as few ever will. Property surroundings – This neighbourhood is a great choice for travellers interested in history, city trips and city walks – Check location Excellent location - show map Guests loved walking around the neighbourhood! House rules Cheval Three Quays at The Tower of London takes special requests - add in the next step! Cheval Three Quays at The Tower of London accepts these cards and reserves the right to temporarily hold an amount prior to arrival. The cleaning service is available 7 times a week. Upon arrival, the property will request a swipe of the debit or credit card which was used to make the reservation. Failure to present this card at check-in, prior to entry into the apartment, will mean another valid credit card will be requested and charged for the entire stay. A credit card pre-authorisation will also be taken upon check-in for any incidentals that you may incur during your stay from the same debit or credit card. The view was amazing and the staff was absolutely fantastic! The room is perfect and very clear. Amazing location with the best view in London. No toothbrush. It was my first stay in an apartment style hotel so I didn’t know there weren’t any sanitary products aside from a few goodies from the white company. Unfortunately the closest supermarket was 10 minutes walk away, but you can enjoy the amazing view along the river while you’re otw to Tesco. Fabulous location, great views, lovely and capacious space.